The hotel is very new. It is beautifully decorated. Our room had a lovely terrace with a table and two chairs. It had a great view of Gytheio Bay. We had breakfast outside looking at the lovely view every day. The bed was very comfortable. The AC worked well. Every morning fresh bread was delivered to our room. We had butter, jam, honey, coffee, tea and crackers to go with it. The proprietor, Melina, was very responsive when we had questions. The site is still under construction but the proximity to the beaches and Gythio makes it worth a while. The Olive Yard made for an excellent base to explore the Mani and other parts of Laconia. The setting is quiet and idyllic, and it is clear that a lot of thought and love has gone into the design of the property. The bed was *extremely* comfortable. Best of all, hostess Melina is an absolute delight! Both knowledgeable about the area and wordly. Very nice place to stay. The rooms are beautiful and very nice decorated. Melina is a great host. The Cocomat beds are very comfortable. Nice beach just 5 minutes walk. This was the most comfortable bed of our entire 2 week stay in Greece. The host made us feel very welcome. She upgraded our room for no additional cost. She made great recommendations for food and activities. She even gave my wife a birthday gift. Very friendly, helpful, hospitable staff. Extremely clean. Good location to visit nearby points of interest/ beaches/ town. Wish we could have stayed longer. Multilingual, friendly staff, warm atmosphere, clean and fresh rooms. Lock in a great price for The Olive Yard – rated 9.5 by recent guests! One of our best sellers in Gythio! 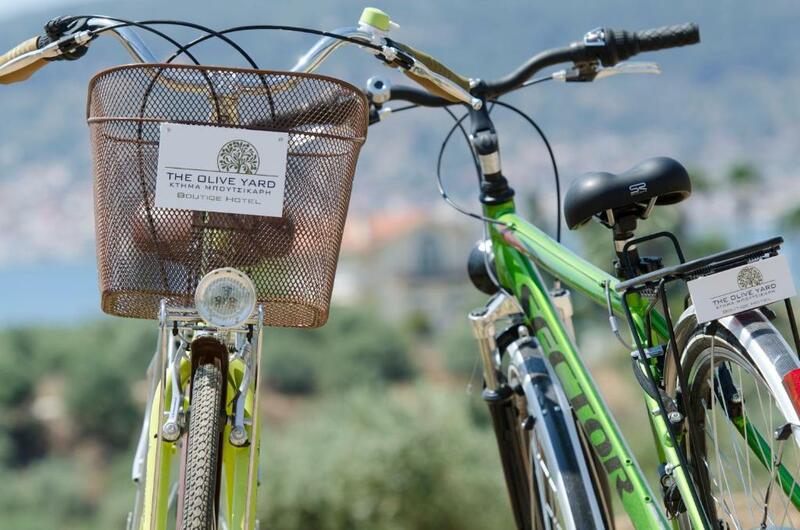 Offering a terrace and views of the sea, The Olive Yard is set in Gytheio in the Peloponnese Region, 31 mi from Kalamata. Monemvasía is 27 mi from the property. Free WiFi is featured and free private parking is available on site. The accommodations is fitted with a dining area and a seating area with a satellite flat-screen TV. There is also a kitchenette, fitted with a toaster and refrigerator. A stovetop and kettle are also provided. Each unit has a private bathroom with a bath or shower. Towels are available. Biweekly housekeeping is also provided. Sparti is 22 mi from The Olive Yard. The nearest airport is Kalamata Airport, 36 mi from the property. 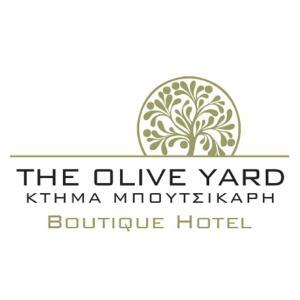 When would you like to stay at The Olive Yard? Conveniently located close to the reception area, this room is fitted with high-quality twin beds that may be interlocked. This room type is suitable for guests with mobility issues. This studio features a private balcony, well-equipped kitchenette, air-conditioning and desk. This tastefully decorated studio features a high ceiling, magnificent Laconic Gulf views and luxury double bed and linen. Nestled in a verdant olive grove with a panoramic view of the Gulf of Laconia and located 150m from Selinitsa beach and 2.5 km from Gytheion, The Olive Yard offers luxury accommodations ideal for visitors wishing to enjoy the region's many natural and historic riches. 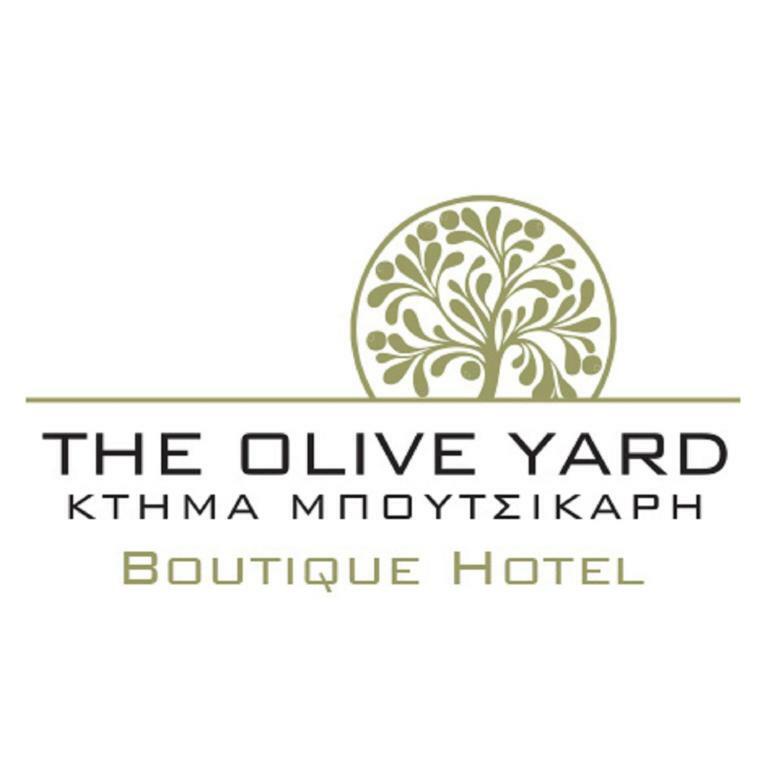 Built, furnished and decorated with high-end, natural materials and with an eye for details, The Olive Yard strives to offer its guests a relaxing, comfortable and memorable stay in the area. Although I have lived in several different cities and countries in Europe and North America, almost all my summer vacations have been spent in and around Gytheio. After another stint abroad, I recently decided to move to the area in order to be closer to family and friends.I have not regretted my decision, since I adore the mild climate and calming beauty of the region, coupled with the warmth of the people. I look forward to helping visitors discover the area as well. The Olive Yard is situated in a mostly residential area, characterized by large single family homes. Besides its proximity to Selinitsa Beach and Gytheio, The Olive Yard is also conveniently located near other beaches, including Valtaki, Trinisa and Mavrovouni. There is a beach side cafe/ bar just steps away, in addition to a few other places to eat in walking distance along Selinitsa Beach. Two restaurants are open year-round at Valtaki, one serving traditional family fare and the other more suited to special occasions, The Olive Yard is built near the provincial thoroughfare linking Gytheio to the town of Skala (known for its orange groves and also the site of 2 hypermarts), Continuing east, one soon arrives in historic Monemvasia and breathtaking Elafonissos. Going west from the property, one is soon on their way to either the towns and villages of inner Mani or towards the mountainous region around historic Sparta. House Rules The Olive Yard takes special requests – add in the next step! The Olive Yard accepts these cards and reserves the right to temporarily hold an amount prior to arrival. Please inform The Olive Yard of your expected arrival time in advance. You can use the Special Requests box when booking, or contact the property directly using the contact details in your confirmation. Wonderful ambient, fantastic view on the sea, hills and sirrounding olive yards, very lovely house managing Lady and a beatiful room! The location was perfect for us since we had a rental car, but could be a little more of a challenge for someone without their own mode of transportation. The house is beautiful, clean, warm, cosy. Lina is wondefull host, she was kind, helpfull, the bread in the door knob every morning is so nice. Well furnished, with real coffee. Special plus goes to the ginger cat who was there, cudly and friendly. My son wants to come next year, I think we'll do so. Absolutely nothing, this was our second visit. The room was very clean and the bed very comfortable. The balcony had a beautiful view over Gythio. There is plenty of parking and everything about this property is kept to a very high standard by the lovely host. We were a bit surprised and disappointment that the ‘apartment’ is just one room but compartmentalized into bedroom/kitchen/living room (this wasn’t clear from the description or photos). A few extra basics in the kitchen (bread knife, bottle opener, salt & pepper) would have made things even better! Beautifully decorated and comfortable room and terrace with beautiful views over the sea and city. Lovely and helpful staff. Great location for town, beaches and visiting regional tourist sites. Loved the daily fresh bread delivery and good quality coffee provided in endless supply! The studio is a bit small for two adults and two children with their luggage. The owner is a very kind hostess with amazing attitude to the details. Everything in Olive Yards is on its place, made with a taste for the good. Superb cleanness. Bed and pillows were super comfortable. The room was clean and nicely decorated. Overall, it was an amazing room and we would highly recommend it to anyone visiting Gytheio. You won't be disappointed. A little confusing to locate since -instead of a sign at the entryway- they had some potted plants. Luckily the manager had given us directions by phone beforehand so we found it easily. Sheets and towels were changed only once during a 5 night stay. Taking into account that it was summertime, this is not really appropriate, especially for a boutique hotel. The lady at the reception was amazing! Really friendly, very polite and always willing answer our questions and give us tips regarding places to visit, where to eat etc.